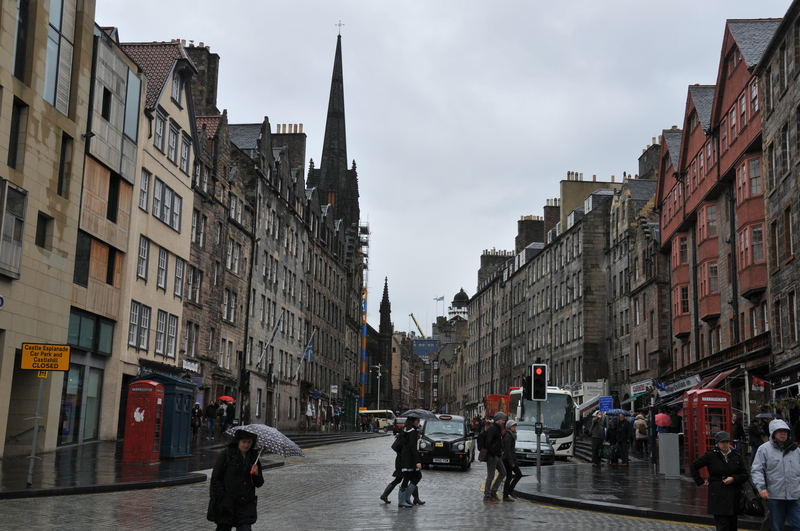 Left- A rainy day in Edinburgh. 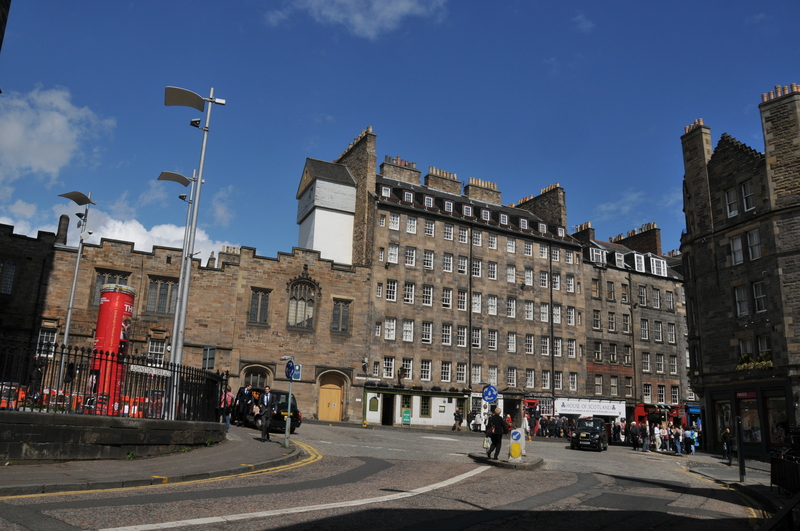 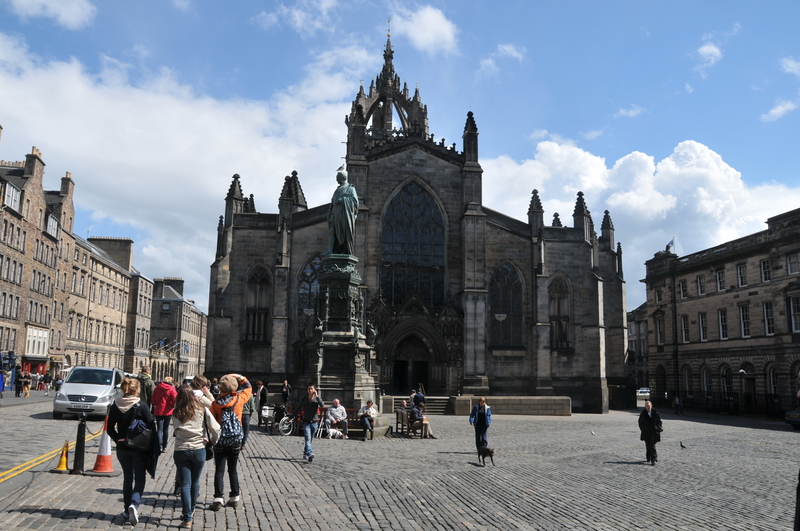 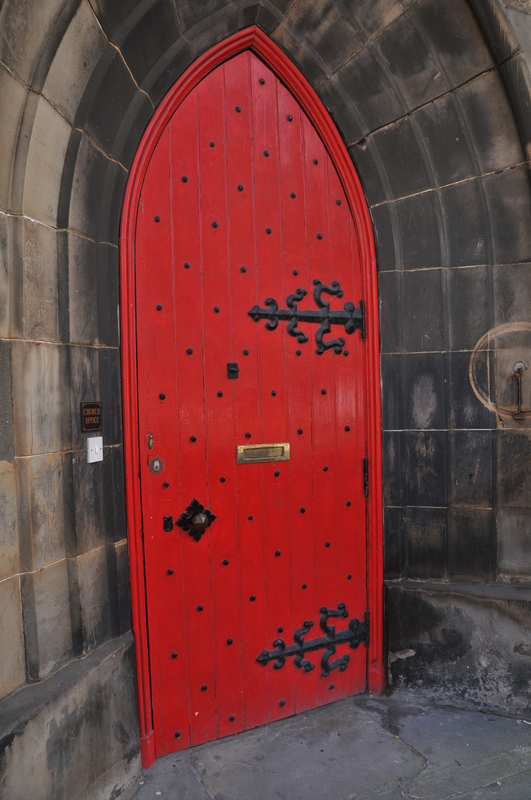 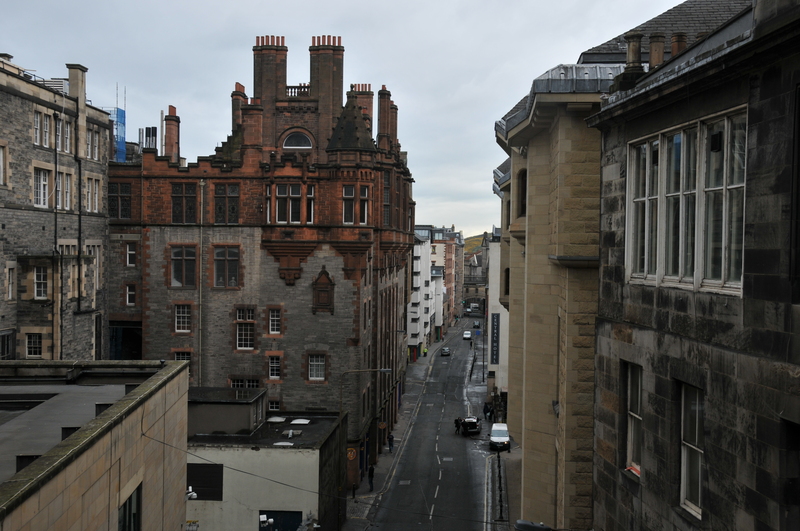 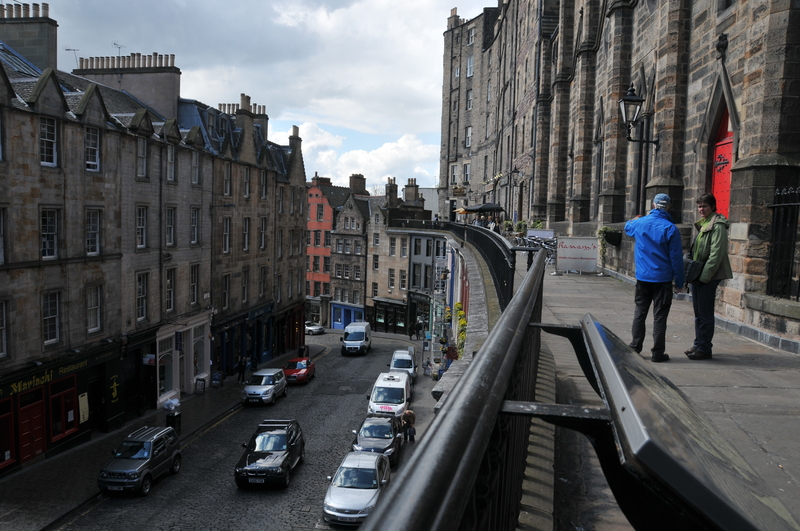 Right – a view on my walk to the Scottish National Museum. 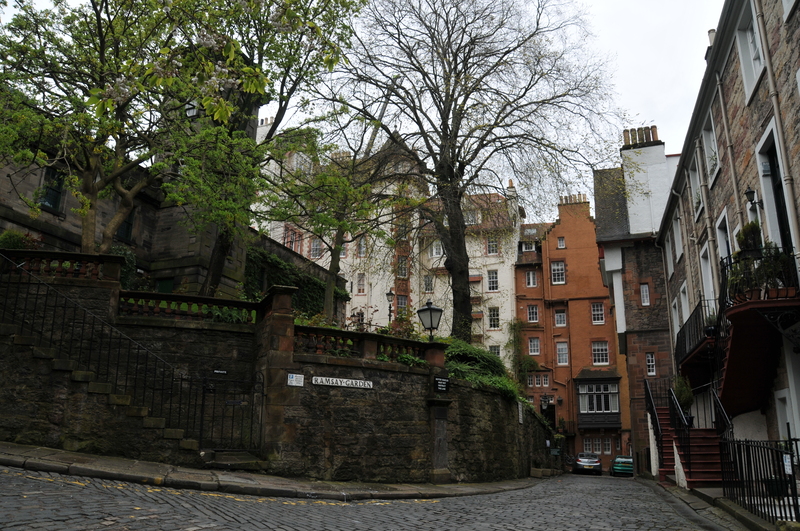 Left – Ramsay Lane. 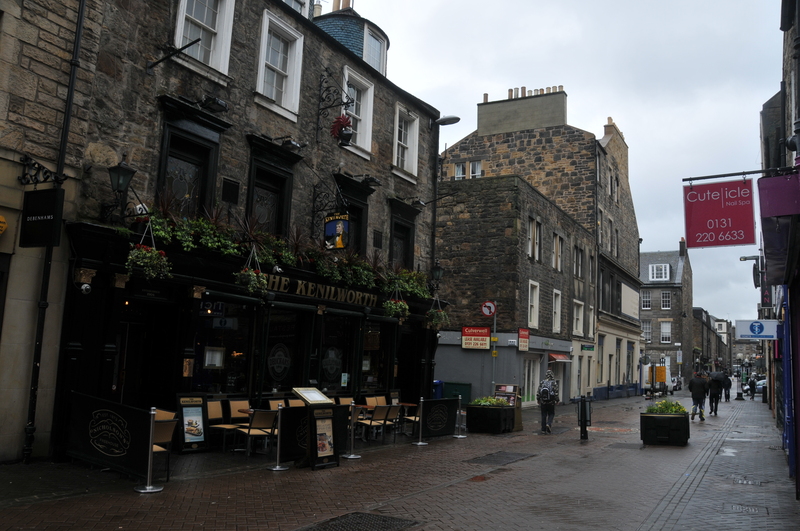 Right – The Kenilworth Pub, Rose street.